Company: Enterprise jBilling Software Ltd. 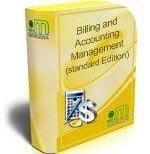 Description: jBilling is the standard in open source billing software. With enterprise features and a robust architecture, it is the choice for businesses of all sizes. Description: EasyBilling software helps you generate Quotation, Proforma Invoice, Invoice, Receipt, Purchase Order,Delivery Note, Packing Slip, Ordering, Credit Note and Debit Note. 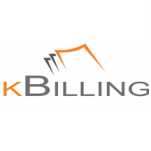 Description: kBilling is a great billing / invoice program for any business. Whether you're sending bills for your professional services, running a retail store, invoicing customers for repair work, or running an Internet business, kBilling can simplify your billing and save you time and money. Description: Advanced Billing and Accounting Management software module gives you a simple, efficient and cost-effective way to gain full control over accounting processes of your organization. Description: Invoicera saves your time and helps you manage your bills in a snapshot. 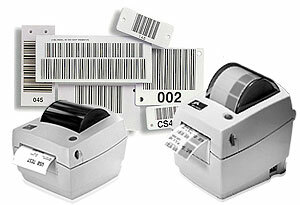 It is designed as a payment tracking software that helps you keep a track of your customer payments. For more help take just one Invoicera tour, and call yourself a pro in handling this application! Description: Excel Invoice Manager is an electronic invoice software and billing software based on Excel templates and add-in. By seamlessly integrated with Microsoft Excel and utilizing backend databases, it provides you with a powerful, easy-to-use and highly-customizable invoicing and billing system, saving your time and money - taking the hard work out of invoicing! Description: Financial Accounting Software is a complete business management utility that efficiently manage Company�s inventory system in easiest way. Description: BillQuick delivers time tracking, project management and billing while supporting professionals working from a PC, on a network and via the web. True flexibility allows you to exchange data via email, hand-held computers and cell phones from the field. Invoice Manager is a web-based epayables application that allows invoice data to be captured through standard entry, scanning or electronic transmission. Invoice Manager then facilitates approval routing and dispute resolution, plus provides highly relevant data for analysis of spending habits and cash position. NetSuite is the only web-based software that combines back-office Accounting with customer-facing CRM and ecommerce capabilities in a single, powerful, easy-to-use application. Award-winning NetSuite is quick to deploy, easy to use, and powerful enough to support all the business processes of growing and mid-size businesses around the world. Autotask Pro is the all-in-one web-based Professional Services Automation (PSA) software designed to help MSPs and IT Service providers to run their businesses better, more efficiently, and more profitability. That's a bold promise, but it delivers by getting your entire team all working off of literally the same customer and business information, all in real time.